On April 12, at 21:03 an emergency call was received to “911” service that an uninhabited house was burning near the TV tower of Spitak town, Lori province. 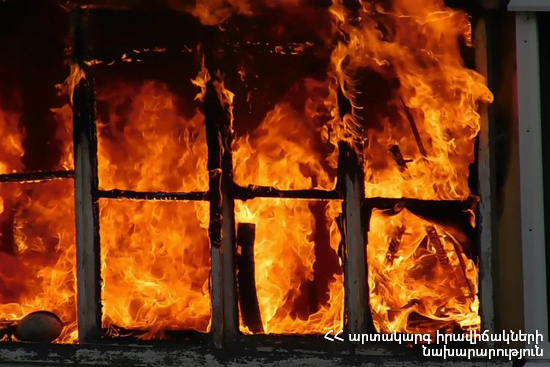 It turned out that a grass area and a house was burning at 99 Suren Avetisyan street. The fire was isolated at 21:20 and extinguished at 21:44. About 150 m2 of grass area and an uninhabited house (about 6 m2) burnt.